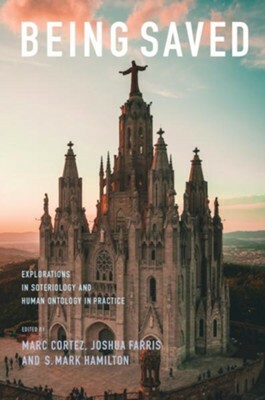 With contributions from leading theologians and philosophers, "Being Saved: Explorations in Human Salvation" brings together a series of essays on the major topics relating to the doctrine of salvation. The book provides readers with a critical resource that consists of an integrative philosophical-theological method, and will invigorate this much-needed discussion. Marc Cortez is (PhD, University of St. Andrews) Associate Professor of Theology at Wheaton College. He is the author of Christological Anthropology in Historical Perspective, and Theological Anthropology: A Guide for the Perplexed. He also writes regularly on biblical and theological issues for his blog. This is a brilliant, multifaceted collection of original, engaging essays on the Christian concept of salvation. Being Saved is evidence of the dynamic, robust flourishing today of Christian philosophy and theology. "The new generation of Reformed dogmatics has arrived! Cortez, Farris, and Hamilton have assembled many of the best young dogmaticians, along with some giants of the older generation, to press forward in the urgent task of hearing and proclaiming the Gospel of salvation. They do so with intellectual seriousness, ecumenical wisdom, and creative verve. This book will show you what theological thinking is and why it is important." "This is an impressive book. The volume is well-organized and the essays well-written, and the volume both sheds fresh light on old issues and breaks genuinely new ground. The essays are fascinating, insightful, and rigorous -- and in some cases, at least, edifying. Being Saved is an excellent resource, and I will return to it often." I'm the author/artist and I want to review Being Saved: Explorations in Soteriology and Human Ontology.